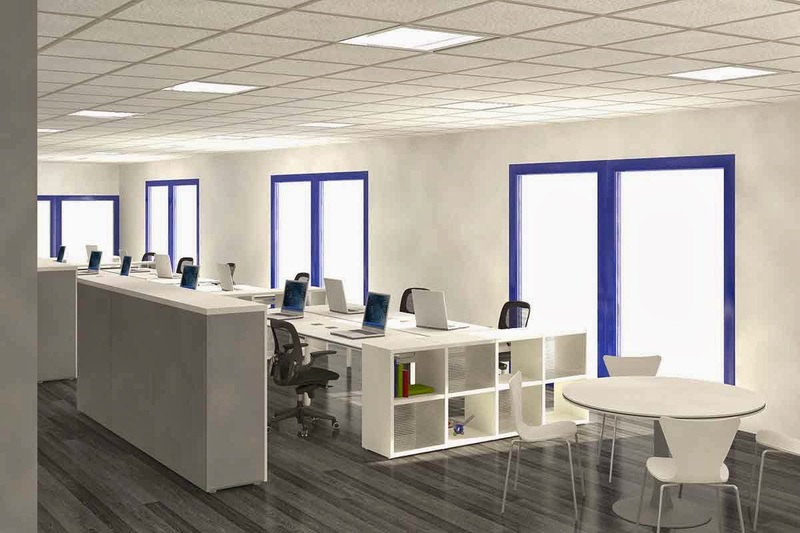 Open-concept work spaces are all the rage. This one has some nice touches including the incorporation of a round table to make a common meeting place. Additional privacy is offered through a storage rack and half-wall.